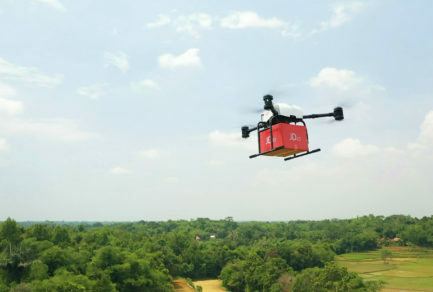 This Singles Day, JD.com is using innovative drone technology to speed deliveries to consumers in some of China’s remote areas, enabling them to participate more fully in the annual Singles Day sales festival. We are deploying drones to extend our delivery and logistics network, starting with four rural locations of China in the outskirts of Beijing and in the provinces of Jiangsu, Shaanxi and Sichuan. (Factsheet; B-roll and photos for media use) We believe we are the first e-commerce company in the world to put drone technology into this kind of commercial use. Our drone infrastructure was developed by our research and logistics innovation lab, JDX, which is focused on developing smart logistics solutions to make the passage of goods from warehouses to our customers ever quicker, cheaper and more efficient. 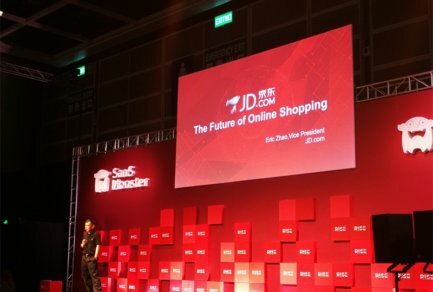 JD.com is proud of its home-grown delivery and logistics system, which is unequalled anywhere and provides fast delivery to virtually every city in China and many areas outside the cities—including same- and next-day delivery to an area with a population of more than 600 million. However, in the more remote areas where the terrain is complex and infrastructure is poor, last-mile logistics can be challenging, and this can make the overall online shopping experience more difficult and less satisfying than JD customers have come to expect from us. The JD Drone program was born to address this challenge. 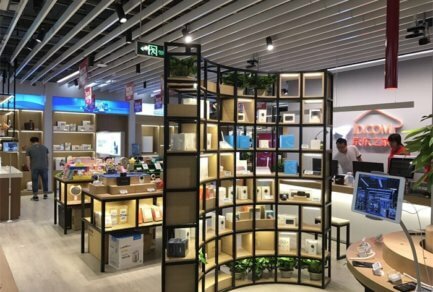 It has been designed as a cost-effective, scalable, safe and reliable way to bring new opportunities to remote rural communities in China that are currently underserved by the e-commerce industry. The program works by dispatching orders from regional delivery stations to JD’s network of dedicated “village promoters” in each village, who then distribute the orders directly to customers, significantly shortening delivery times and reducing logistics costs. JD.com currently has more than 300,000 village promoters across the country. Many rural residents have traditionally had far fewer buying choices than their urban counterparts. That’s because they could purchase goods only from local stores, where they often find higher prices than are typically seen in the cities, and where counterfeit goods remain an issue. Rural villages are impacted by a series of challenges, including the high logistics expenses of getting products to the local stores, and the fact that store owners are averse to stocking items that will have slow turnover given the smaller populations. The result is that the very people who have less disposable income, end up facing higher prices, while having to accept limited product selection. Now, with the JD drone delivery program in place, shopping online offers rural consumers unprecedented new opportunities to have authentic products from around the globe delivered right to their door more quickly. We are working to ensure that even rural villagers can enjoy the same advantages of e-commerce—namely product quality, selection and price—that their counterparts in Chinese cities enjoy. This Singles Day, JD Drones will serve customers in a number of rural locations across the country. In Jiangsu Province, for example, drones will be dispatched from the Tiantong’an delivery station in Suqian to communities such as Hanzha village in the surrounding countryside. Controlled by a proprietary, highly sophisticated back-end system, the drone can then take off automatically and follow a pre-determined route to the village that is designed to optimize delivery time and cost. When it arrives at the village, the drone lands at a designated drop-off point, where our local village promoter takes delivery. 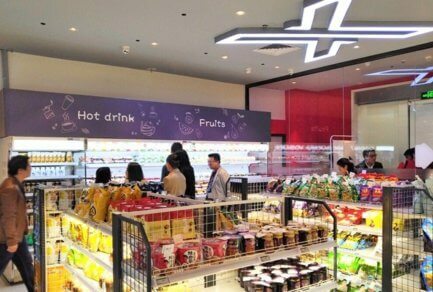 The village promoters, chosen in part for their familiarity with the residents and the layout of their villages, then ensure that the orders reach JD.com’s customers in the area.